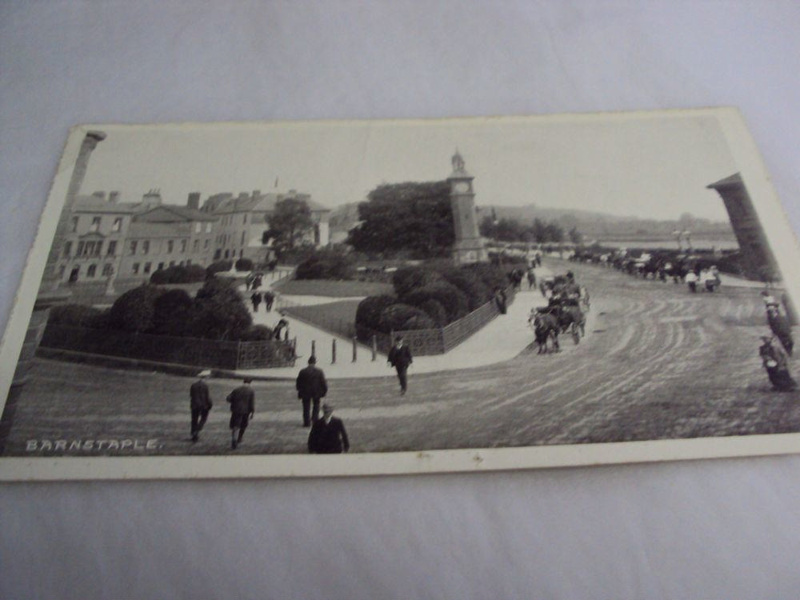 Barnstaple, the Square,Albert clock & Athenaneum from west. F Frith & Co Ltd. Early 20thC coloured photo 14x9 cms reverse message/address.